The Honda Neowing Three-Wheel Hybrid will have a sophisticated upgrade that will happen at the end of October. With some radical design and equipment configurations – this vehicle will boast fabulous performance and design. 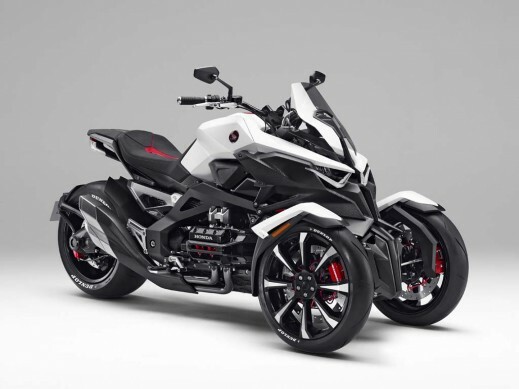 Even though this beast bike has not gotten its official name yet, the automaker has revealed enough details about its promising features that we can’t get our mind and imagination to stop thinking about the bike. The promise is that the motorcycle will have provide an exceptionally sporty ride with smooth cornering. That is because when this motorcycle shows off its cornering moves – the suspension gives somewhat of an articulated experience. By far, the suspension capability has been the highest revelation from this brand’s development. Therefore, some experts and engineers from this brand are throwing around the same nickname, the authentic Honda linkage mechanism. When we compare it with the 2016 Can-Am SpyderF3-T and its equipment, naturally this bike has a bunch of different of features – for example, this motorcycle has different suspension technology. The rear suspension has a flexible adjustment for riders, the manually air-adjustable chassis has more strength for improved handling on rough or uneven roads. We won’t do an apple-to-apple comparison, because the two bikes are not enough alike. However, taking more than just a sneak peak will broaden our view and eliminate our skepticism. Some people would still choose the Honda three-wheeled motorcycle rather than the F3-T for its simple front-end body construction. The reason is that the F3-T has a somewhat frontward nose that some riders may worry about when they are doing certain maneuvers.